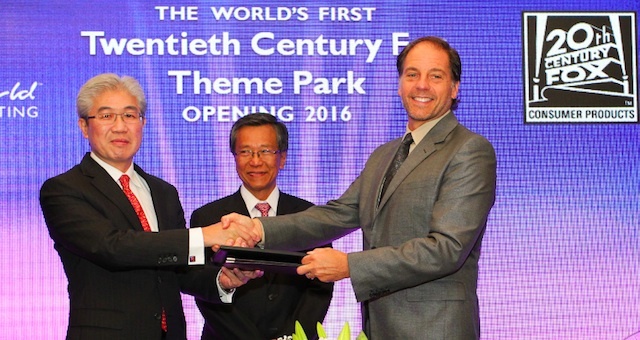 Hong Kong (January 26, 2016) — In an interview with ejinsight, Jeffrey Godsick, President of Twentieth Century Fox Consumer Products, explained why his company is eyeing Guangdong province, where Chimelong currently operates two large theme park resorts with a third under construction, for its first Chinese theme park project. “There is certainly an opportunity in China, where we can build a mega theme park that could attract more than 10 million people a year. “Macau does not have the land base for a theme park while Hong Kong has a lot of saturation with Disneyland and Ocean Park. In terms of catchment, there are a lot of opportunities in Guangdong cities such as Zhuhai and Guangzhou. The decision will be less about Hong Kong but more about Guangdong province, which is not saturated.